When it’s time to find a stylish set of wheels to help you tackle the scenic roads throughout Annapolis, Highland Beach, and Hillsmere Shores, you’ve got a few options. But have you considered the 2018 MINI Cooper Clubman? This vehicle delivers an impressive performance, style, and array of sophisticated features that elevate routine trips and daily commutes. At MINI of Annapolis, we’re here to help you learn more about the Cooper Clubman so you can tell if it’s the right vehicle for you and your passengers. The MINI Cooper Clubman includes three unique engine options. The vehicle comes standard with a 1.5-liter 3-cylinder MINI TwinPower Turbo engine that comes paired with a 6-speed manual transmission and can deliver 130 horsepower and 162 lb-ft of torque. The Clubman also offers two 2.0-liter 4-cylinder MINI TwinPower Turbo engines with different outputs. 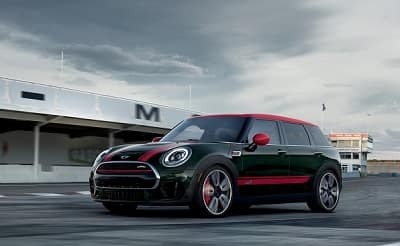 The Cooper S engine delivers 189 horsepower and 207 lb-ft of torque while the John Cooper Works All4 Clubman delivers 228 horsepower and 258 lb-ft of torque. The Clubman offers a spacious and stylish cabin that’s equipped to carry 5 passengers. Passengers riding up front get 40.2 inches of head room and 41.4 inches of leg room. Passengers sitting in the rear seats get 38 inches of head room and 34.3 inches of leg room. The MINI Cooper Clubman trunk offers 17.5 cubic feet of space. However, drivers looking for more cargo room can fold down the rear seats to get 47.9 cubic feet of space for their luggage or materials. The MINI Cooper Clubman comes outfitted with the 6.5-inch Visual Boost touchscreen that allows drivers to access their various entertainment features, but drivers have the option of upgrading to the 8.8-inch touchscreen. This screen also doubles as a rearview display, which utilizes a rear-mounted camera to provide you a clear view for when you’re backing into tight spots. This touchscreen also incorporates MINI Connected, which is a system that allows you to access internet radio features like Pandora® and Spotify®, allowing you to choose your favorite media from these applications. The vehicle also comes with a USB port for portable media devices, or you can enjoy live broadcasts from the AM/FM radio. At MINI of Annapolis, we hope that you found this 2018 Cooper Clubman review helpful in showing you what this vehicle offers and what it can do. While you got a good sense of this vehicle, you can benefit from learning even more by dropping by our dealership and seeing it up close. You’ll really be able to make up your mind by taking it out for a spin. Schedule a test drive with us today. 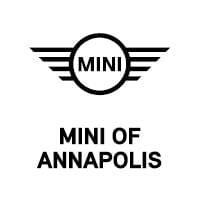 At MINI of Annapolis, we’re proud to help drivers in Annapolis, Highland Beach, and Hillsmere Shores make the right decisions toward their next car. Check out our MINI Cooper Clubman vs MINI Cooper Countryman to learn about MINI Cooper cars!